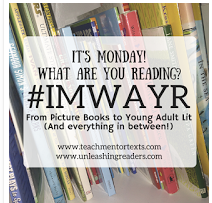 Two Reflective Teachers: It's Monday--Here's What I'm Reading! I read both of these books as ARCs and I need to reread them now that I own them. I agree with what you said, both of the books are easy to fly through, and I need to reread them on a slower pace. Both on my list, but still haven't read them. Someday soon! Thanks for the review showing how important both are to writers! We are right in the middle of reading Raymie Nightingale and haven't made up our minds about it yet. It was so helpful to read your thoughts about the book. I reviewed Raymie today, Melanie...great minds think alike, I guess! I am waiting for a student to return Booked so that I can enjoy it,too! Oh such beautiful books. 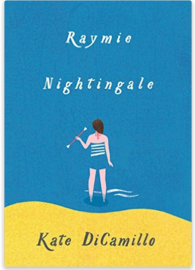 I'm reading Raymie Nightingale, and looking forward to booked. Both of these sound good. I never could find enough soccer books for my fans of the game when I was teaching. I wish I could have shared Booked, but am looking forward to reading it myself. 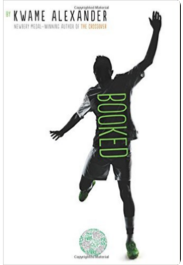 I agree Booked is about more than soccer. Another wonderful book from Kwame Alexander. I am reading Raymie since she arrived last week. I agree with you about the character development. Kate DiCamillo is a master. We can look to both of these authors as writing mentors.